If you have just recently become a parent, no one absolutely no one who hasn’t been in the situation can understand your love-hate relationship with diaper bags. 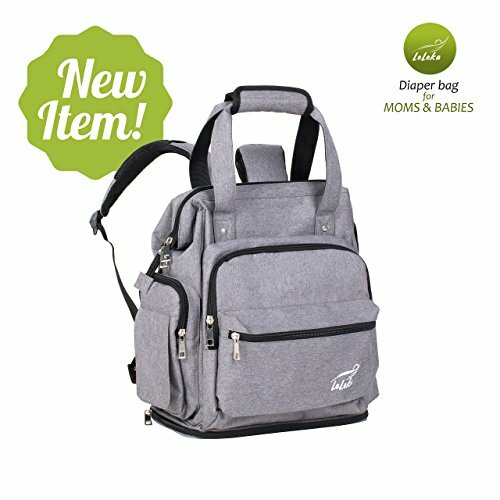 How to buy a diaper bag? Which is the best one? The answer to this question cannot be stated in one word. 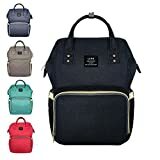 Which diaper bag is best? It is a deep and thorough process. To begin with, you need a bag that specifically fulfill your needs. This is bound to vary from person to person. Diaper bag has an element of fashion attached to it. Heck, if you are anything like me you won’t ever buy something that doesn’t look good. Also see, 15 diaper bags that make a statement. It makes a huge difference if you go to mall a lot, visit your friends and family or get a baby sitter. Surely you cannot get a plain ugly functional bag if you have to go out a lot with the baby. Similarly if you employ a baby sitter then there is no point in spending a lot of money on a diaper bag. Diaper bag backpack for mom. 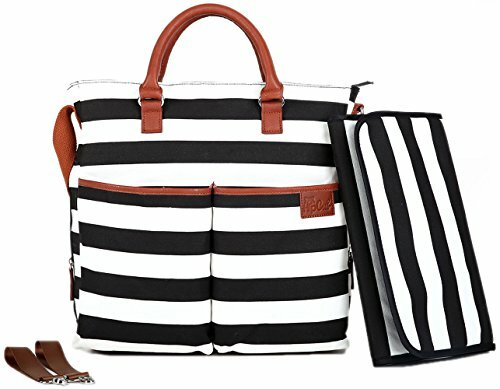 Baby necessities organizer with stroller straps. Next comes the age of the baby and the fact that whether you have one baby or twins. 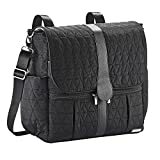 Having said all that and demoralized you probably, let me tell you the best bit: the good news is that diaper bags come in all sorts of designs these days. There are hundreds of thousands you can choose from and you anyone can find the bag that fits their requirements perfectly. The bad news that with so many diaper bags, you easily make the wrong choice. We at Baby Gift ideas will help you make the right decision. Let’s find your dream diaper bag. 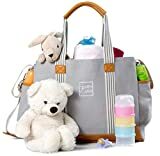 Coming back to finding your dream diaper bag, here are some checklists, make sure you go through all of them. It is sort of a given but you’ll be amazed to see how many people ignore this simple point; there should be a balance between functionality and design. Since this bag is going to accompany the mommy or daddy for a long time, you should focus on getting it right at both ends. If you are buying the bag as gift; cuteness may be the most obvious motivator. It will sit well at the baby shower but once that is over and the bag comes into proper use, it would fail if there is not functionality. There are many styles or categories if you will. Make sure you select the right one for your demands. Here are some important features and various characteristics you should always look for in a diaper bag. Make it your gospel and stick to them no matter what. Always go for a lightweight diaper bag. And once it is packed, it will be heavy anyway so don’t burden yourself with two types of weights. There should be adequate storage space. Make sure it has all the space for the basic items for both baby and the guardian. Items like; diapers and wipes, set of changing clothes, food, bottle, pacifier, mum’s purse, cell phone, keys, etc. should be easily contained. The composition of pockets and pouches should be such that it is easy to find everything. The bag should be able to hold and retrieve anything you want. Make sure you have a portable or built-in changing pad. They are a must-have for changing baby’s diapers comfortably and hygienic. An insulated bottle holder that keeps baby’s milk warm is absolutely crucial. When you are on the move you won’t find many places to warm up the milk. The material of the diaper bag should be such that it is easy to clean. If it is machine washable, then it is ideal. It is extremely helpful if the diaper bag has a reinforced bottom and ‘stands alone’. Durability is something important. As I have mentioned before, the bag is going to accompany you for a long time. Make sure you buy a long lasting one. Normally they are pretty easy to tell apart from the quality of construction. Keep in mind that you need a sturdy bag as you’d be using it for some pretty heavy duty stuff. The bag should have a broad shoulder strap. It has been proven via research that broad straps mean less stress on the shoulder. If the strap is lightly padded, it is ideal. Talking about straps, if it has got stroller straps, all the more better. 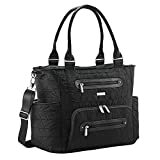 If you are not the type of person who’d like to carry two bags, make sure that the baby diaper bags have enough compartments for your stuff as well. Go for snap closure if you do not plan to put a wallet, money or other valuables. If you want to, then go for a zipper top. If you feel like it’d be good to have two diaper bags for alternation, absolutely go for it. Many parents are reluctant because they feel they need two bags but are told that one bag is enough. Mommy and daddy can have their separate bags – that is bound to work wonderfully. You can get a smaller bag for quick trips and a larger one for weekends. That is what I have done at the moment. So do not hesitate, even for a minute about buying more than one bag.